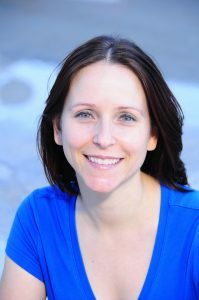 Dr. Heather Silvio, a clinical psychologist, is the author of nine books, including six fiction and three nonfiction works. A former Lieutenant Commander in the US Public Health Service, Dr. Silvio previously worked as the co-lead of the PTSD Treatment Program at the Department of Veterans Affairs in Las Vegas. As an expert in PTSD, she helped train the Las Vegas Metro Police Dept on how to respond following potentially traumatic events; she currently works with the Community Safety Institute, training law enforcement around the country. Heather is also an actress and award-winning screenwriter. She has appeared on stage around the country in numerous productions, including in Reservoir Dolls, The 39 Steps, and Hairspray. She has appeared on television and in the movies with independent filmmakers and big-budget productions. Locally, she has also appeared frequently on television as an expert in psychology (click here for video links) and as the on-air spokesperson for the Red Cross of Southern Nevada. For more information, visit http://www.heathersilvio.com and sign up for her monthly newsletter.